Contemporary gardens don't only come in shades of green. 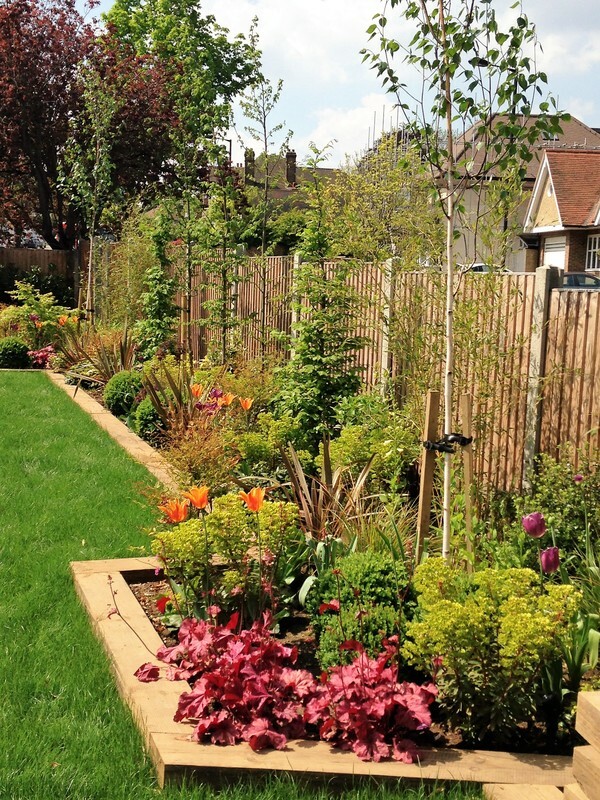 A low maintenance, colourful scheme can be created with different foliage colours. textures and seasonal bulbs.